25th June 2016 at 21:30 (IST). Wal have had 44% possession throughout their games; they have had 82% pass completion as they completed 823 out of 1008 passes. They have scored the most goals by any team in the tournament with six goals in the three matches played. Gareth Bale has been their top scorer and of the tournament with three goals in three games, two of them being free kick including a 30-yard stunner, Hal Robson-Kanu, Aaron Ramsey and Neil Taylor have one each. They have had four offsides in the three matches played by them, they have had 34 shots with an accuracy of 64% and have conceded three goals in total. They won against Slovakia by 2-1 in their opening match and against Russia in their last match of the group stage by 3-0 and lost their game against England by 2-1 after going 1-0 up. Wales and NorthernIreland have played eight matches in which Wales have won three, Northern I has won one, drew four and WAL have lost one, and NIR have lost three. They have drawn a friendly in March by 1-1. 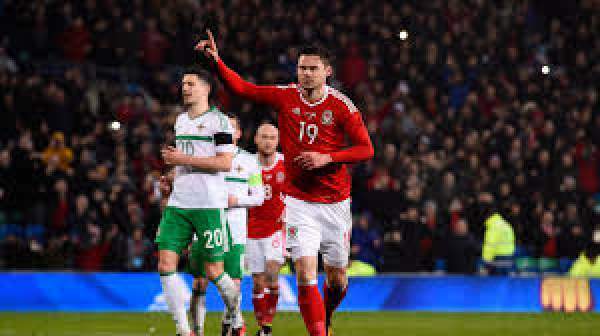 Wales won in 2011 by 2-0 in Nations Cup, drew in 2007 in a friendly, Wales by 2-3 in 2005 in World Cup qualifying, drew in 2004 in World Cup qualification, Wales won in 1968 in European qualification and drawn in 1967 and N Ireland was victorious in 1954 by 1-2. Northern Ireland has had least amount of passes in the whole competition as they have had 635 passes and out of that, they have completed 432 with a 68% completion rate. Their top scorers are Niall McGinn and Gareth McAuley with one goal each. They won against Ukraine by 0-2 and lost to Poland and Germany by 1-0 each. Hennessey, Chester, Williams, Davies, Gunter, Allen, Ledley, Taylor, Bale, Vokes, Ramsey. McGovern, Hughes, McAuley, Cathcart, Evans, Ward, Evans, Norwood, Davis, Dallas, Washington.